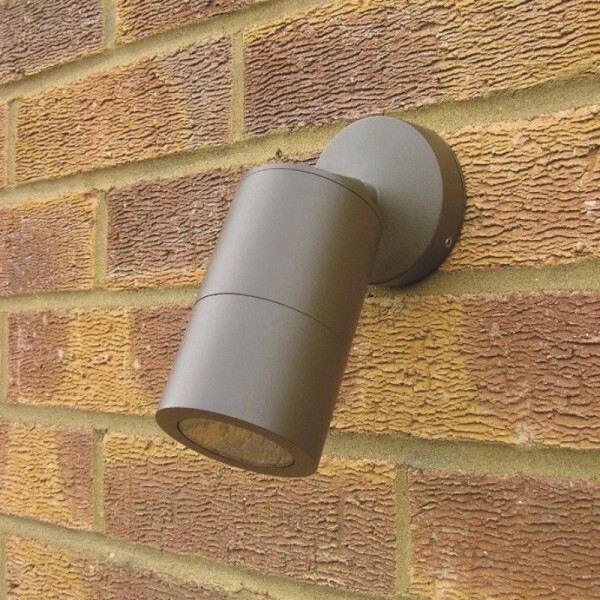 Elipta Compact outdoor wall spotlights are adjustable wall or post mount spotlights for downlighting and accent lighting focal points available 12v or 240v in 316 stainless steel, natural copper and black, white or rustic brown powder-coated aluminium. E4272 is a 240v model using GU10 lamps which means there is no need for a bulky transformer base and they fit mains wiring points on house walls and pillars. 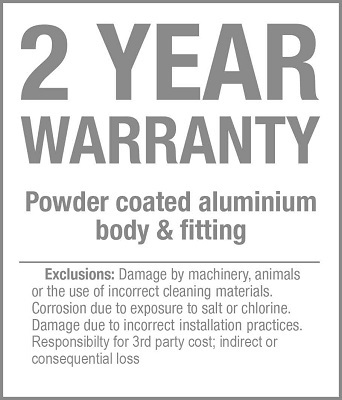 It has a flush lens which sheds water and dirt and is easy to clean. 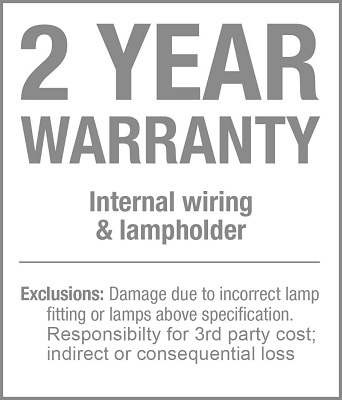 20 watt lamps are ideal for threshold lighting over a door; 35 watts is an optimum choice for many patio lighting applications, while 50w halogen lamps which run much hotter and are much less efficient. 3w or 5w led lamps provides a long life, low energy option for lighting smaller subjects, while 7w - 11w compact fluorescent lamps provide a broad wash of light for patios, including an 11w dimmable model.Rustic Brown powder-coated aluminium is ideal for timber and buff brick structures.